Westporters know Sarah Gross as the owner of Cabbages & Kings Catering. For over 30 years, the 1970 Staples High School graduate has won hearts (and stomachs) throughout the tri-state area with delicious (and healthy) food. Two years ago she introduced C&K Community Kitchen. The collaborative community incubator offers affordable, certified, organic, non-GMO commercial kitchen space, rented in 8-hour shifts. Sarah has always known the importance of “organic.” But as she studied where her food (and ours) comes from, she realized that’s not enough. “We need to feed our soil, in order to create bionutrient rich food using sustainable regenerative practices,” she says. 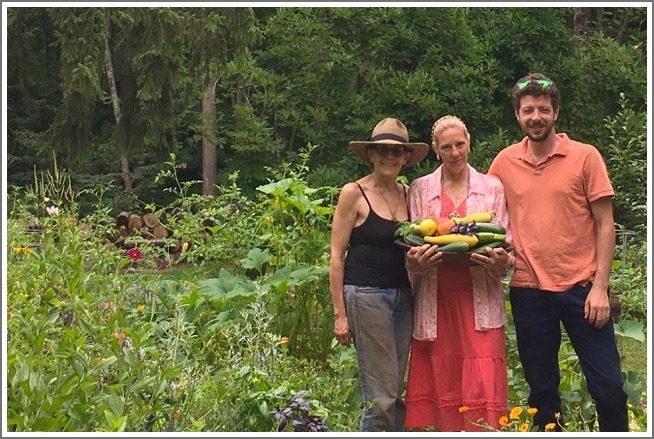 Through the Westchester chapter of the Bionutrient Food Asssociation, Sarah enlarged her garden, built up her soil, and is adding fruit trees and berry bushes. She’ll feed her family, and donate the rest of her bounty to friends, neighbors, food pantries and other organizations serving people who lack access to fresh fruits and vegetables. She is open to sharing her garden with a restaurant or caterer needing land for nutrient-rich organic farming. The soil in the no-till garden is fed with premium compost from a local purveyor. Worms were added to do their thing, and a drip system installed. It is covered in organic hay mulch, to build the soil for next season. It will be farmed bionutriently. A pollinator garden on the side will be full of flowers, for bees. 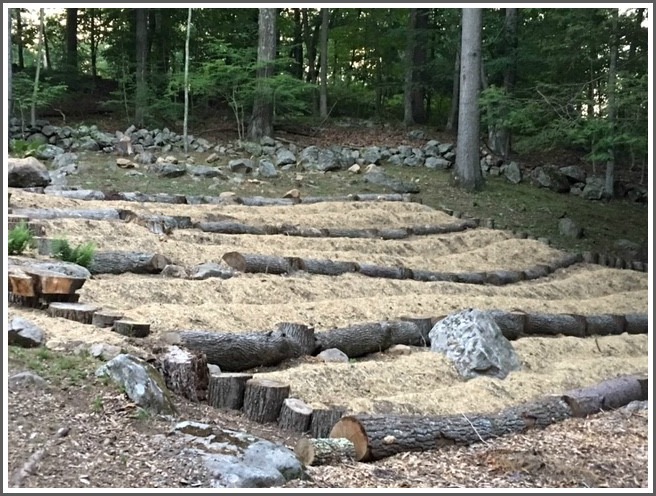 A deer fence and log walls surround the property, to protect the gardens, trees and bushes. Some of the bounty of Sarah Gross’ garden. Meanwhile, she is speaking out against the use of harmful practices. Sarah says that Roundup — banned in California, Canada and Europe — is “evil.” Yet, she notes, plants sold at Home Depot, Walmart and local landscape businesses are riddled with the weed killer. As Sarah sees the decline of monarch butterflies — victims of Roundup, she says, and notices fewer hummingbirds, she makes a connection. “With every choice we make, we are voting for thriving or our own demise.” That’s especially true, Sarah says, with food choices. It applies to restaurants as well as home gardeners. Sarah has partnered with Vic Ziminsky of Let It Grow Landscapes and local master gardener Laura Stabell to offer organic gardening services. They plant and maintain food gardens for clients, encouraging others to make the most of their lawns by growing food that feeds themselves, wildlife and a less fortunate population. Sarah Gross, Laura Stabel and Vic Ziminsky, in one of their gardens. In addition, Sarah told the first selectman’s office about organic landscaping classes August 13-16 in New Haven, and November 12-15 in East Hartford. (Click here for information.) The classes are heavily discounted for Connecticut landscapers. She hopes local companies will take advantage of the opportunity — and homeowners too. “Our choices about how we tend to our property — what we spray on our trees and put on our lawns — affect not only our own land, but the atmosphere and water aquifers of all those around us,” Sarah says. This entry was posted in Environment, Organizations, People, Restaurants and tagged C&K community kitchen, Cabbages & Kings Catering, Laura Stabell, Sarah Gross, Vic Zimitsky. Bookmark the permalink. This is wonderful and I love the title. Organic Garden Gospel…In other words, the good news of an organic garden. Is the “premium compost from a local purveyor” Sweet Peet by chance? Wonderful, Sarah! 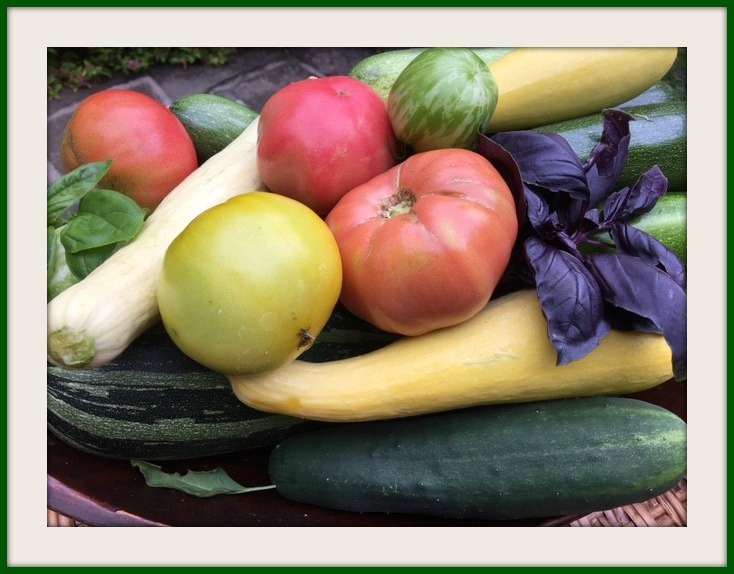 I looked up the class in East Hartford… a little heavy for the amateur organic gardener that I am, but if you do a Wakeman Town Farm workshop, I’ll be there!